Assphalt Kicked! Glad you had a great race, congrats on a new PR! Thanks Brian! Had to give you something to shoot for at Pittsburgh! Great blog entry and account of the race. Glad you enjoyed it despite the delayed start time. We’ll have to include a note next year reminding runners to hang on to that top layer until the race is truly underway … Texas weather being as fickle as it is. You guys put on a great race today! Thank you for all of you hard work – it was a great event – wind, delays and my own stupidity notwithstanding. Congrats Joe, super race! I laughed as I was reading. Can’t remember a time when I correctly used a race as a training run. It seems impossible for me as well. I had nothing but sympathy for you and the cold Joe! Thanks Trey! Hindsight being 20-20, I really can’t believe I convinced myself I would keep it together and not fall into the race trap. Glad I did the event though – really had a blast. Shin feels great today and I got to test my downhill quad work – which seems to have paid off. I won’t kid myself next time though. Seriously…super speedy!! Sounds like an awesome run! I also suffer with “taking it easy” come race day…something about the energy that just makes me want to push! Thanks Jill! Absolutely. I really need tobwork on the mental strength before April as much as the physical or I’ll be looking for a cab at Pittsburgh after Boston 2 weeks earlier! Great race report. I too can’t be trusted once I toe the line. 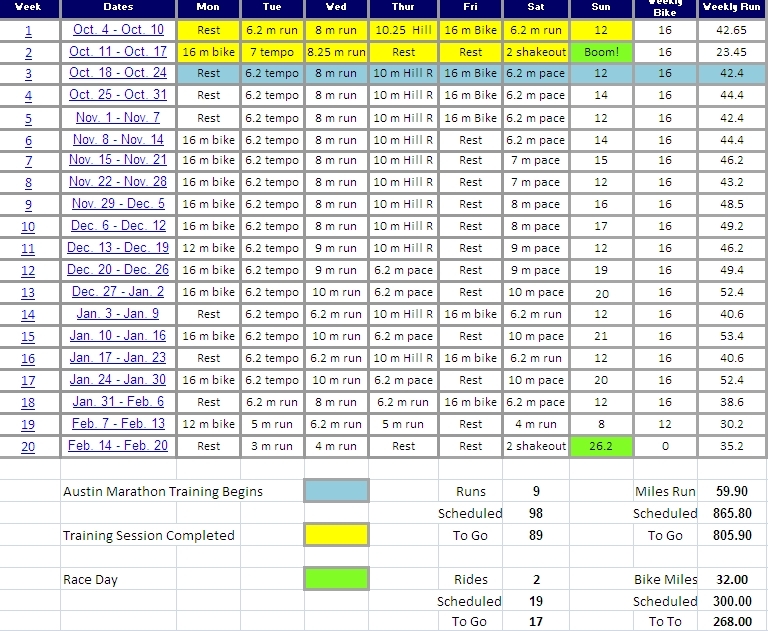 A training, goal pace run almost always turns into a race. Hey, that’s what I’m there for right?